Who cares the exam when the Christmas eve and New Year 2009 is coming?!! 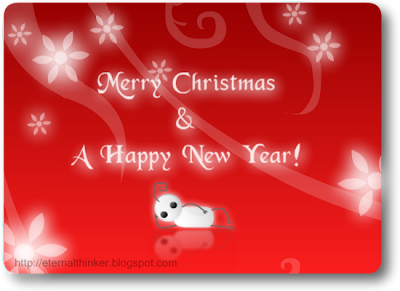 Here's a very special card from et to all of you! Cheers!! 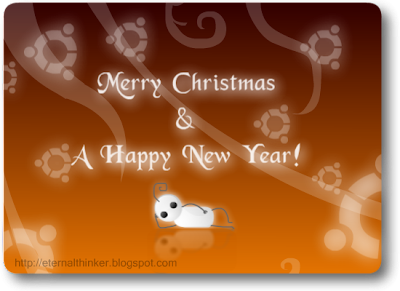 And there's an Ubuntu greeting card as well! Spread the Ubuntu love!! So here's the latest release from et....... et-stamps! I have designed four little stamps featuring the thinking et. Below them are the embed codes you can use to put et on your blog or site! *Paste the desired embed code from below... and Yippee! 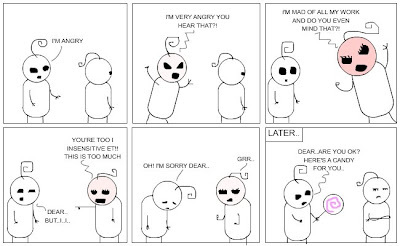 Why Boy's Can't be Angry With Girls? By the way.. evy is et's girlfriend, which I designed much before but didn't get a chance to post here! This is some little old trick that I am gonna talk about. Even I knew this much before. But why I am talking this now is because I found a fairly good use of this Windows trick last day! We are security conscious while working with our PCs, especially when we have the so-called sensitive private information in our hard disk. Well, we use a number of tricks to hide them, or lock them.. which includes simply hiding them to using Folder-lock softwares. Now a case when all these protections go in vain is when we write these files to a CD-ROM, or while transporting them with a usb drive. I bet you have burned your heads on this at some point if you had such need of privacy! So here's the very simple solution. Now I will explain what each of the batch files do. The two batch files in the archive are lock.bat and unlock.bat. Double clicking them executes the files. You can right click->Edit to edit the source of the batch files. 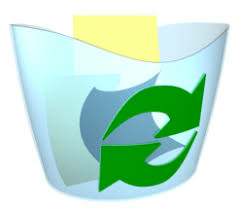 It has icon of the Recycle Bin and clicking on it launches the Trash itself. We can probably stop here and even put the Recycle Bin on the desktop! We can safely write this Bin to a CD as well!! Now look at the second line. It adds extra protection by making this a system folder. You can't view a system folder even when viewing hidden folders is enabled! It does nothing but the reverse of what lock.bat did. It disables the system folder attribute of Bin and then renames into the original folder. You can rename et to your folder's name or do vice versa! You may also rename .Recycler anything you like! Note that lock.bat and unlock.bat should be located in the same place as the private folder. When you change anything, change it in both the batch files. It's still not safe when you use this with an Ubuntu system. It doen't undersatnd Windows tricks! I am not sure even Vista supports it or not! 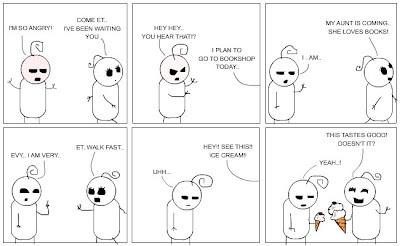 That is why I have put a dot(.) before the folder name. 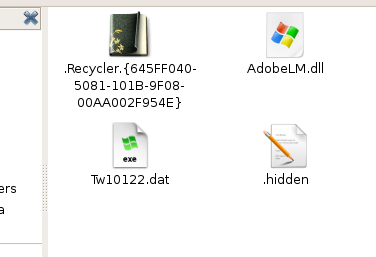 This hides the folder in Ubuntu unless Ctrl+H is pressed. Temporary protection. Anyways assuming common people and more Windows users, this is the best we've got!! Go on.. 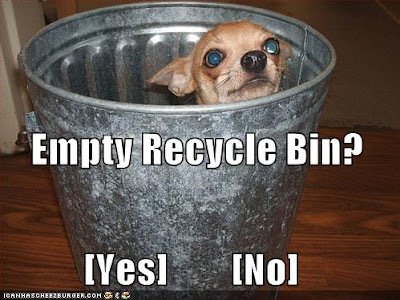 Recycle for Privacy! 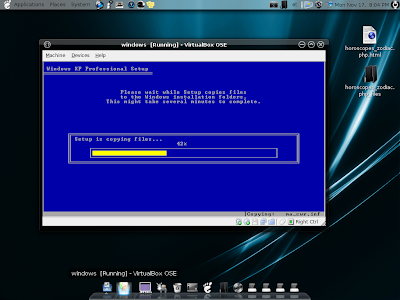 VirtualBox was the first item of exhibition. Actually I needed to tell you about this before, when I installed it in my own system. We used it in Ubuntu for the demo. It was running Windows XP in Ubuntu. We can do even the converse. The basic thing is we set up a virtual computer system in the host OS. The thing is very useful when you want to try any new distros without any partitioning of your harddisk. Some little problem about virtualization is that it can use up a lot of your RAM, which is obvious and it is none of a problem to the new generation computers which comes with a minimum of 2GB RAM. Another interesting thing I came to know was the gOS. It's a Google widgets and services based operating system which comes all preloaded with many Google gadgets and easy links to web services even in the live CD. This is handy whenever we have to use a new system and is facing tough time configuring all our favorite web services. Google helps us port our every documents and schedules over the web and provides access to it anywhere in the world. gOS just makes it even easier! Then there was this ManyCam software which enables cool effects on out webcam videos. It presents an amazing face recognition and eye detection technology. Simple awesome!